THE BEST POEMS in this selection were found by chance in the communal grave of 22 Hungarian prisoners executed because they were also Jewish. They are treasured as some of the most flawless modern additions to their country’s rich poetic heritage. They have gone a little way towards teaching tolerance to new generations of Hungarians in the treatment of their racial, religious and ethnic minorities. 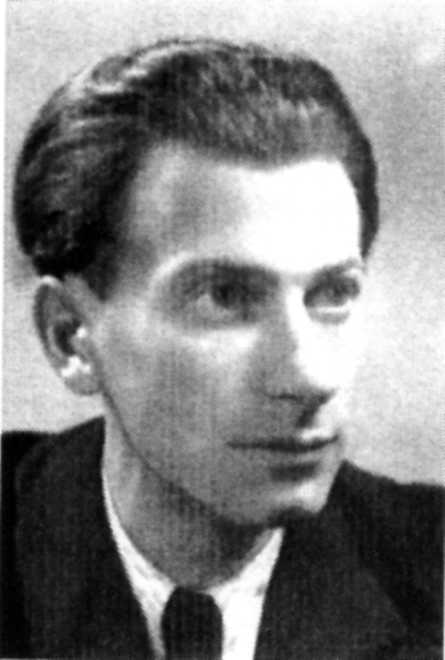 Born 100 years ago in 1909, Miklós Radnóti was probably the greatest among the mature writers of the period to witness and record the Holocaust. He was murdered in 1944, shortly before the close of the Second World War, a victim of the National Socialists’ attempt at the permanent “ethnic cleansing” of Europe. Anne Frank, Éva Láng and András Mezei were children.Primo Levi and Paul Celan were very young men eventually compelled to turn to literature in order to comprehend and digest the brutality of their experience, for which they had been totally unprepared. Unlike many others, Radnóti had plenty of opportunities to escape forced labour and death at the hands of the Nazis. He was at the height of his literary powers when he chose to enter the storm, notebook in hand, deliberately seeking to transform the horror into poetry, as he put it, “for reminders to future ages”. His last poems transcend the limits of race and tribe in a universal appeal to humanity. Read in chronological order, the poems follow the author “along the highways, down the soul’s appalling deep chasms” to his clearly anticipated death. These intensely autobiographical pieces describe a writer stripped of all the security and comfort of civilized existence and caught up in history’s insane march towards collective destruction, who yet maintains his stubborn personal dignity and fierce concern for the future. Radnóti went on publicly fighting back until the end. According to the legend that has grown up around his figure --which I have checked against reality in interviews with survivors of the same camps and the eventual “deathmarch” -- the poet bribed his Hungarian guards to smuggle his work to the outside world. The notebook containing his final and most moving poems and found in the end on his body had been going around from hand to hand, giving encouragement to fellow prisoners. A facsimile edition of the notebook, containing the work in careful, even handwriting and complete with printers’ instructions, was published in Hungary in 1971. Popular demand necessitated an immediate second printing. Copies have become prized collectors’ items. He was born in Budapest and educated at Szeged University. He was prevented from pursuing an academic career because of his racial origin as well as his humanism.He was obliged to make a meagre living by producing what are recognized today as brilliant translations from classical Greek and Latin as well as English, French and German poetry. Some of his own poems were seized and others not allowed to be published at all, while the rest attracted little attention. Most of Radónti’s contemporaries never heard of him at the time. Radnóti introduced himself in his tragic notebook as “a Hungarian poet” despite his deprivation of Hungarian status and identity as well as civil rights because of his Jewish birth. He was executed as a Jew, exactly as he had described in his very last poem the mass shooting of civilian captives, despite his earlier, deeply felt conversion to Christianity. Today, his poetry and legend mean many things to many people. To me, they are a flame of hope against racist and religious bigotry. For Radnóti’s dogged refusal to tolerate hostile discrimination against any minority has in a way triumphed in the end. The inane ideology that triggered the Holocaust has blighted the lives of generations of the descendants of its authors and their followers with shame and remorse. They are now the first to cry: Never Again! We know very little of the execution squad comprising retreating soldiers who murdered the poet at the age of 35. Radnóti goes on, gathering disciples. flowers in frost. Her hair cascading. on a pillow. She’s Mary! and waving amid his game a foaming flag of saliva. spatters widely about the terrified green pasture. and slowly and sadly the bull bellows through the fat air. it’s time to wrap your woman warmly in your love. the heavy flags of urgent male loneliness. (Oh, seedling blond childhood, how far you have passed! oh, dove-white old age, I will never reach you! our fresh squadrons showed up on the horizon in the end. but never mind, friend. Did you write since yesterday? to swoop in rattling frenzy on the houses drowned in fear! you cannot even hear me! You are fused with the plane. How will you feel when flying over us again? to lie on a bed, eyes closed, caressing with my love. daydreaming in the steamy chaos of the canteen. without a place of my own between my own earth and sky. If I live -- with some who still want to read. perhaps its substance only, just in a single image. eternal like a fossil shell within a rock. begins the hunt for buzzing tiny dreams in flight. as it hesitates upon my hand when I’m at work. No similes will do. I scrap them as they come. until I am reduced to bones and tufts of hair. You’re tired. It’s been a long day for me also. to tell you what it’s like when it expects you home. they flit away yet keep returning to your brow. Your drowsy eyes still send a last farewell towards me. Your loosened hair cascades in freedom. You’re asleep. The lengthy shadow of your eyelids softly flutters. Your hand, a resting birch twig, falls upon my pillow. from trees. And may my body sink into this soil in the end. the sunset paints the walls with a liquid flame of pain! for no instrument would merge it in his topography. respond to our muffled words with new voices fresh and bright. Spread your vast wings above us, protective cloud of night. strong angel followed behind me, an angel to defend me. but for a glowing, distant, sweet freedom for tomorrow. and should you see me yet, turn away, my friend, and go on. the angel might be gone. the cherry tree bursts into blossom. his life was ruled by raving self-deceptions. to cheer were loathed like victims of the plague. doomed future, wild and drunk on blood and mire. while on the table foamed their poisoned cup. but the scholar of dreadful words, Isaiah the prophet. braided with barbed wire, look, dissolves in the twilight. and only the mind, the mind is aware of the wire’s tension. Even fantasy finds no other path towards freedom. releases our aching bodies. The captives set out for home. fly from Serbia’s blinded peaks to their fugitive homelands. Fugitive homeland! Oh -- is there still such a place? still unharmed by bombs? as on the day we enlisted? And is there a home where hexameters are appreciated? guard, our mail has stopped and the barracks are muffled by fog. guessing the end still obscured by the darkness, dreaming of miracles. the fleas renew their siege but the flies have at last retired. walking, projected on walls, as they spy the night’s early noises. for neither can I live nor die without you, my love, any longer. detached, the cooling bracken stirs around me. my friend -- past three wild frontiers, terrified land. Will autumn leave me here forgotten, aching? and I become as calm as 2 x 2. Gentle past evenings, you too are ennobled through recollection! wine of the land from slender glasses that sparkled their glances? lie under the soil of Spain and Flanders and Ukraine. calm caves and islands, their retreat from this society. now the angel of freedom guards their great dreams in the night. Some... doesn’t matter. Where have the wise, winy evenings vanished? and heavy in loneliness over the silent and endless war years. Where is the night, the tavern and, under the lime trees, that table? Where are the living and where are the others trampled in battle? silent prisoner myself in Serbia’s wailing mountains. gives always a different perspective to all that has vanished. lying in distant forests, asleep in foreign pastures. mountain path, are you lifted by wings or pursued by an army? one of the ancient wrathful prophets -- but, tell me, which one? word with a vengeance. I was a vessel brimming with rage! I know your ancient rage for your writing has survived. and mountains would tremble and finally fire consume it all. It all came to pass. like once Nineveh, now humanity’s soul is degraded. serve any purpose? man must be surely the basest of creatures! into ovens, their residents roasting. The factories go up in smoke. Screaming, the streets run with people on fire and stumble and faint. corpses on city squares lying shrunken as cow-pats on meadows. cities, to see and to tell, to bear witness to future ages. is for the Lord a millennium? Only an fleeting instant. wears me down -- like rushing rivers wear down the pebbles. young pupil, the rabbi who fulfilled the law and our words. that country about to be born. What might be, then, the Lord’s purpose? I like a firm, knotty hold on a staff that is strong and uneven. he longs to meet the wife and a gentler death. That’s why. since we have left them, only a scorching whirlwind roams. lurks bristling as a frightened, abandoned mongrel might. It may come true again -- the moon shines so round -- be wise! Don’t leave me, friend, shout at me, shout! and I will arise! and men and beasts are tangled, and wagon, thought and load. destruction, or like beetles entombed in dying trees. and huddle in a daze. the clouds up in the lake. blows overhead its cold, infernal breath. already taut as string about to break. I mutter to myself. Lie calm. Be patient. The flower of death unfolds in fear. I wait. Blood mixed with dirt grows clotted on my ear. I hear a soldier quip: He’ll get away yet. our innocence to automated killing. to stumble on with pride and will run out. awaiting death behind the marching column. Some people had the stubborn strength to shout. and we have lost the voice or will to shout. THOMAS ORSZÁG-LAND, a Jewish survivor of the Hungarian Holocaust, is a poet and award-winning foreign correspondent based in Budapest.